Did Sequoia just rip page out of the Rocket Internet playbook? David Velez spends two years scouting ideas for Sequoia in Brazil and then gets them to back his idea. “Our story is not about underpenetration of banking. It is about offering credit products to already banked customers that are currently completely overpaying in terms of fees and expenses, and getting a very poor experience in return,” he says. “Since we don’t have to pay for expensive [physical bank] branches or other costly infrastructure, we can pass those savings to our customers in terms of no fees products, lower interest rates, and excellent customer service. 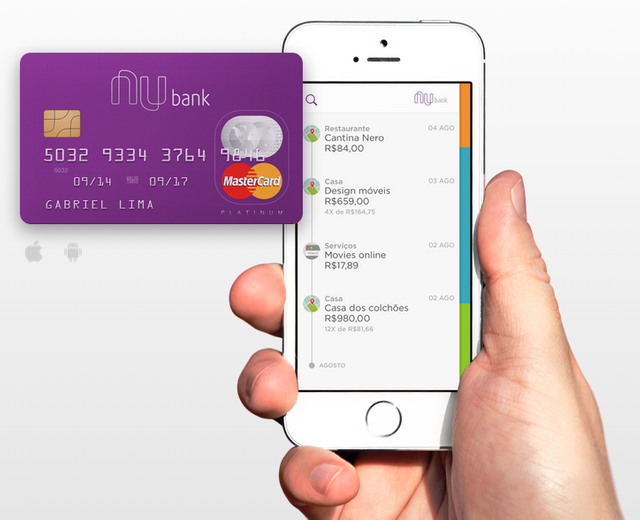 Our customers also don’t want to pay for that expensive infrastructure by the way.” Today getting a credit card in Brazil can take weeks, lots of paperwork, and many visits to a physical bank: Nubank wants to swipe all of that away. While credit cards are Nubank’s first product, the company is careful to call itself a “financial services” company, and as such has bigger ambitions.